Every once in a while a Château emerges in a less fashionable wine-producing area that punches well above the standards of that particular area. 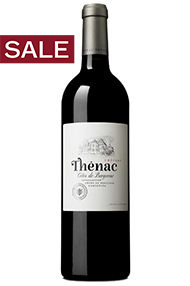 This is the case with Château Thénac from Bergerac. Situated in beautiful countryside south of Bergerac itself, this 60 hectare vineyard is planted on a clay/limestone terroir on a south-facing slope, allowing for maximum exposure to the sun. 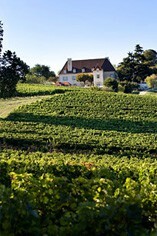 With the average age of vines around 40 years, Thénac wines have complexity and structure and offer a refreshing alternative from Bergerac's more illustrious northern neighbours in Bordeaux. The Cuvée Prestige White is made up of Sauvignon Blanc, Muscadelle and Sémillon and is matured in new French barrels, giving the wine refreshing crispness but an exciting complexity. The Cuvée Prestige Red is made from Merlot, Cabernet Sauvignon, Malbec and Cabernet Franc and is qualitatively, more akin to a right-bank Bordeaux than the wines synonymous with Bergerac. It has recently been awarded the maximum rating of 3* by the illustrious Guide Hachette in France and a bronze medal in the Decanter World Wine Awards.